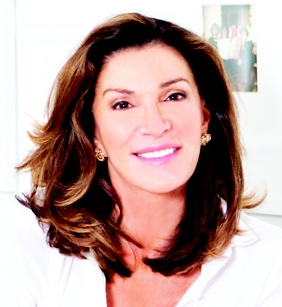 Hilary Farr, international home designer and co-host of HGTV’s Love It or List It, rarely gets to showcase outdoor rooms in the television show. That said, she still has plenty of opinions on how to go about decorating outdoor spaces. Farr has teamed up with Art Van Furniture, which entered the outdoor market in 2009 when it launched Art’s Backyard, a division that specializes in outdoor furniture and accessories. Big or small, she suggests homeowners walk through the outdoor area when designing the layout. “How will it feel? It should be comfortable to walk in over the summer. You don’t want to burn your bare feet and women’s heels shouldn’t be sinking into the turf. You want to be user friendly. Put down a permeable material. Outdoor rugs are fantastic,” she suggests. Yet, she does admit she still has clients who want very traditional gas or wood burning fireplaces, “so it really does run the gamut,” she adds. With so many choices to make on home design, indoors and out, Farr says she is there to help. Art Van customers have the chance to win an in-home consultation with Farr, lunch with Farr in an Art Van showroom followed by a $5,000 shopping spree where Farr will choose furniture or accessories for the winner based upon their specific lifestyle and needs. Customers can enter at any Art Van location in Michigan, Chicago, Toledo or online at artvan.com. The deadline to enter is October 14, 2013. When asked if investing in an outdoor room resonates with potential home buyers, Farr’s answer is quick and to the point. “I don’t design to sell.” Her statement echoes the theme of her show; she wants homeowners to love their home and she designs rooms with that in mind.